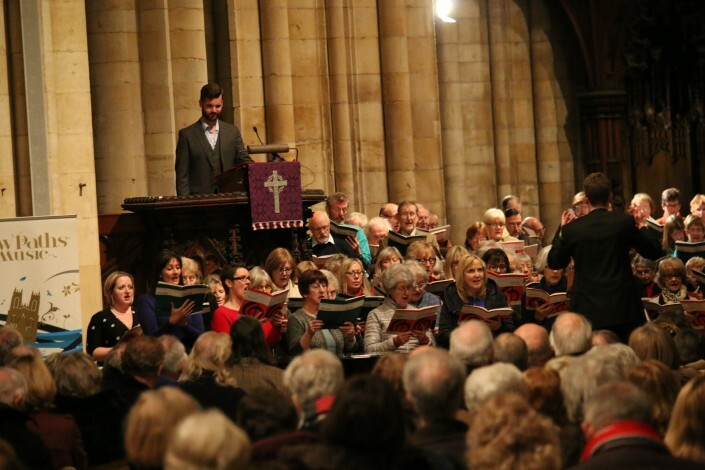 Our first event was supported by a packed Beverley Minster on Saturday 27th February 2016. 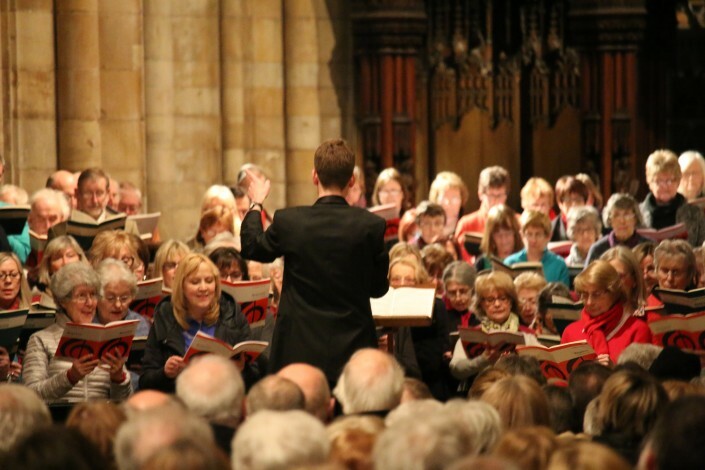 We had 180 singers joining our Come & Sing day, rehearsing and performing Fauré’s Requiem in memory of Alan Spedding MBE. We were conducted by Ashley Grote, outstanding in his energy, musicianship and positive choral training. 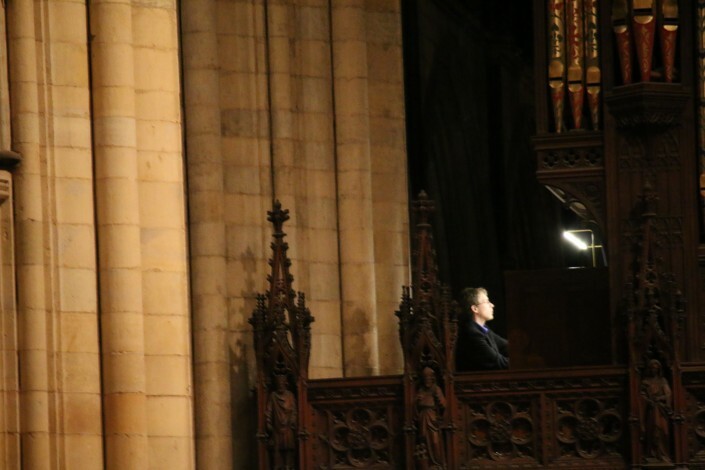 Tim Harper accompanied all day, his organ playing was first-class. 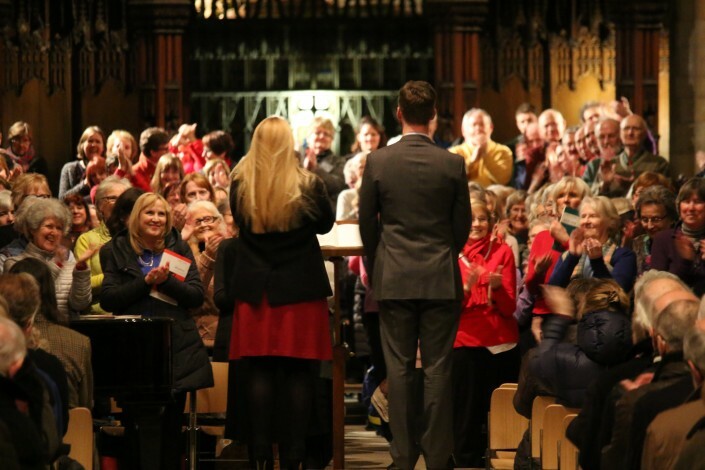 Later in the day we were joined by Katherine Crompton and Edward Grint, who sang the solos in the Fauré gloriously (and couldn’t resist joining in with the chorus too!). 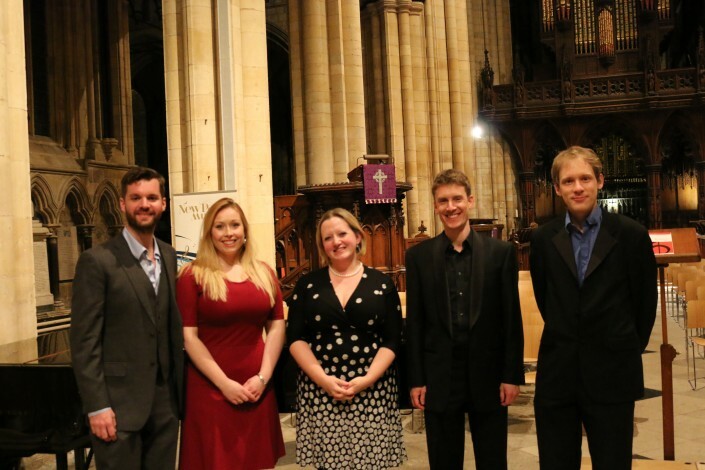 Along with Artistic Director Libby Burgess, they performed a set of songs entitled ‘Seasons of Life’, encompassing Fauré, Finzi, Strauss, Brahms, and Richard Rodney Bennett. 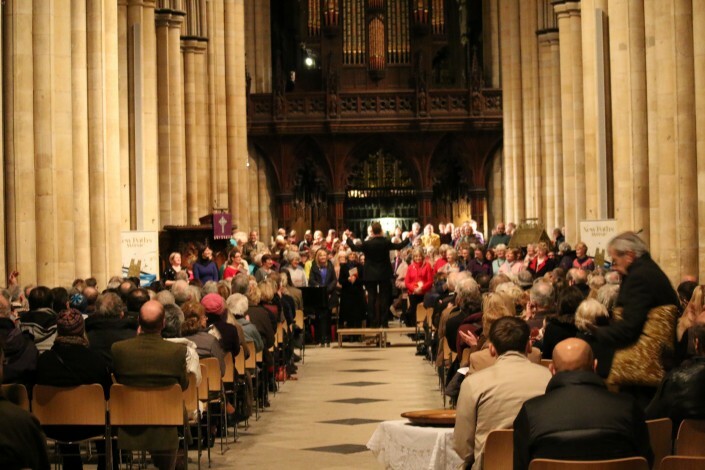 For this performance we were joined by an incredible sized audience – packing out the nave and leaving people sitting in the side aisles. Libby and New Paths’ founder, Roland Deller, spoke about Alan Spedding and his influence in the region, and outlined their vision for New Paths, announcing the programme for the inaugural festival in April. We are delighted that the day gave singers who knew Alan Spedding, and who sang under him, the chance to join together to commemorate him in such a special place. 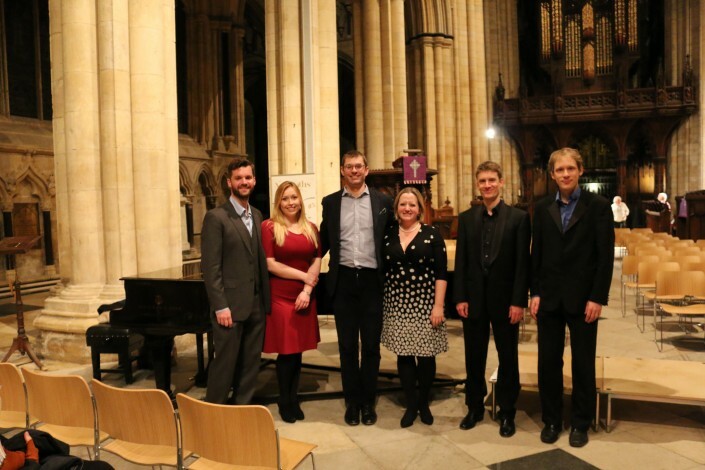 We are thrilled that the event raised well over £2,000 for the Alan Spedding Memorial Fund at Oundle for Organists; this will provide a significant number of teenagers with bursaries to attend this life-changing week of music making and inspiration. 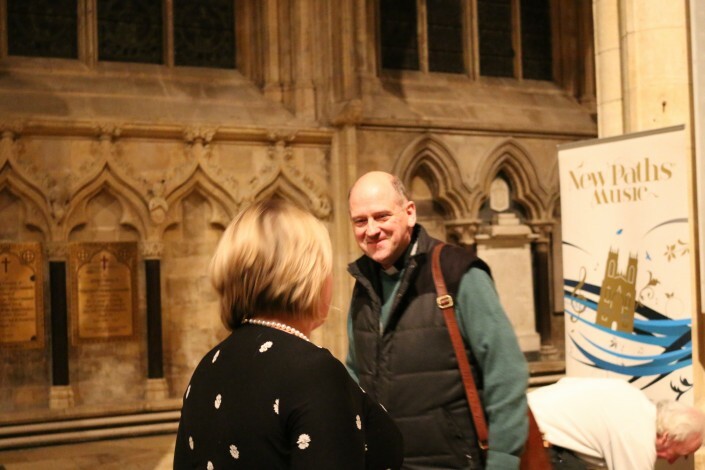 Thank you to the Minster and Revd Jeremy Fletcher for hosting such an exciting and memorable day. We are incredibly excited to see New Paths underway!